These days, everyone is trying to look and feel younger and healthier by their skin. However, with our busy schedules, we barely get a chance to go to a spa and indulge ourselves in skin treatments. 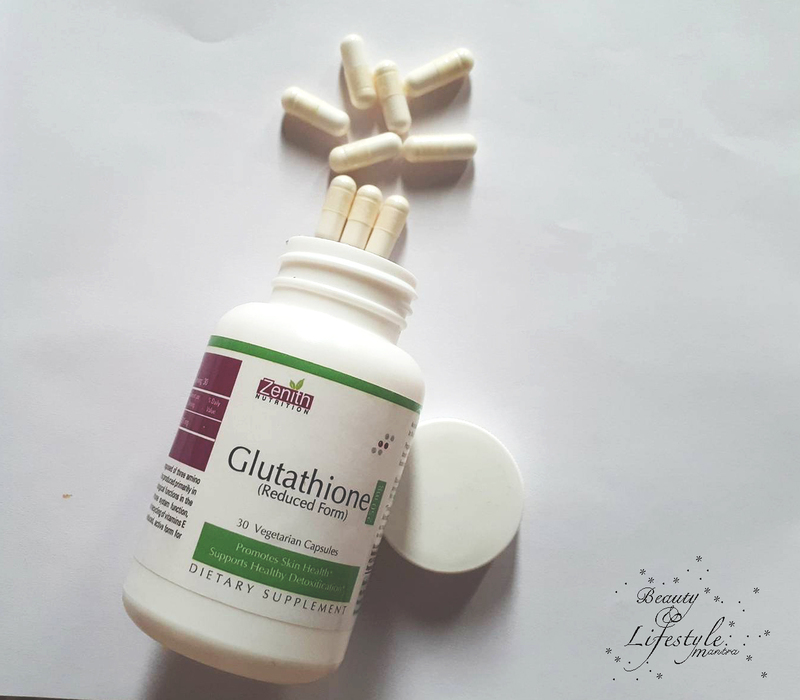 So you can include this interesting food supplement that called Glutathione in your daily diet which is claimed to be a good antioxidant. Zenith Nutrition Glutathione supplements have become a popular choice for healthy skin. In today's post, I will share with you how these Zenith Nutrition Glutathione Supplement Capsules work. It is produced primarily in the liver and is involved in many critical biological functions in the body including metabolism of toxins, immune system function, protection against oxidative cell damage, and recycling of vitamins E and C. This product has Glutathione in its reduced, active form for optimal bioavailability. Glutathione is the body’s most powerful and important antioxidants that present in each and every cell in our body. It plays an important role in detoxifying our cells, removing toxins, heavy metals, and free radicals which can damage our cells. The Zenith Nutrition Glutathione Capsules comes in a white colored plastic bottle with screw lids. Inside the lids, it is sealed with a silver foil. The capsules are just like other capsules in size and it has no smell and no taste while having it. A recommended usage of one capsule a day is mentioned. Fruits and vegetables are good dietary sources of glutathione. For instance grapefruit, asparagus, carrots, onion, broccoli, potatoes, spinach, tomatoes, apples, oranges, garlic, bananas, and melon are the good dietary sources of glutathione. Dietary glutathione is also found in high amounts in fresh, uncooked meats and in moderate amounts in dairy products and eggs. It is important to consume glutathione from fruits and vegetables fresh, not cooked or processed. The best part of the Zenith Nutrition Glutathione capsules is suitable for Vegetarians. It's a completely veg product. Zenith Nutrition Glutathione can help to improve the health of every cell in the body. Giving you a more radiant glow which is caused by healthy cells and reduced toxicity in the body. Age spots can also be minimized and prevented by enhancing Glutathione levels in the body. The anti-aging effects of Glutathione are remarkable, from complexion, wrinkles and age spots. 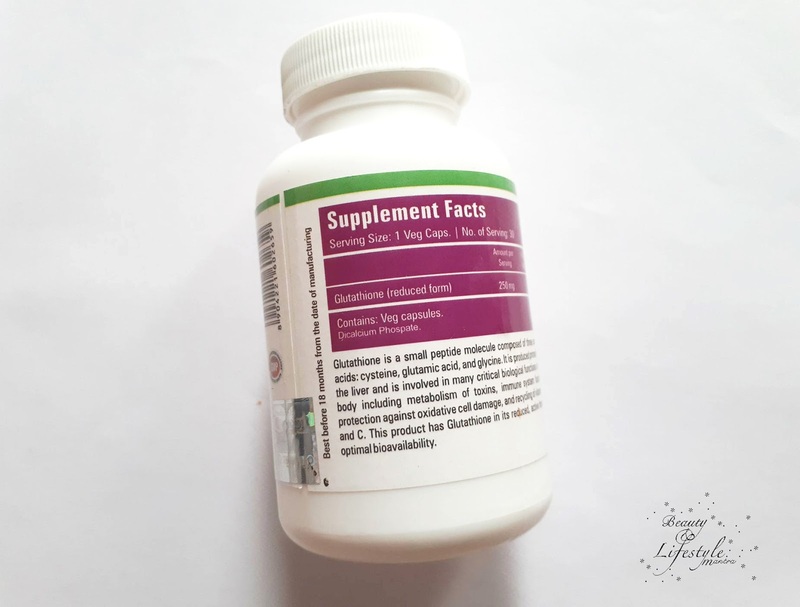 Overall Zenith Nutrition Glutathione Supplement Capsules helps in improving the overall health including your hair, skin, and nails. It is a natural detoxifier that helps to eliminate harmful toxins in the body. I am currently taking this and I love how it has worked wonders for my skin. It really helps clear the skin. I am hearing a lot of this brand nowadays need to try this capsule to have a healthy skin. Zenith has come up with some amazing products and this is one of them! I am loving all the products this brand has offered. Health supplements is today's necessity. This seems perfect answer for my skin woes. Great to know about Glutathione, Zenith has come up with a great range! 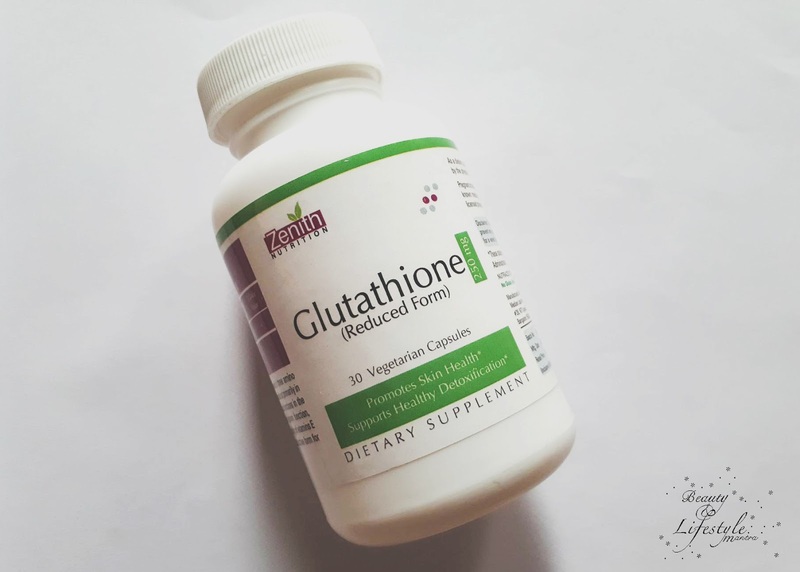 Glutathione is the talk of the town. I too recently got to know about this amazing nutrient and became a fan. Glad that zenith offers glutathione supplements. I have complete faith on zenith supplements. Zenith is the only brand that I would trust when it comes to health supplements. This one seems like a must try. This capsule seems good for overall health. Zenith has come up with such amazing and valuable supplements. This supplement seems like really good for skin and overall health.. Zenith nutrition has awesome health supplements range..
Zenith is great brand and I am readings and hearing about this a lot these days. Seems like I need to try these supplements.